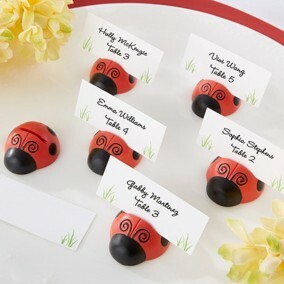 Our selection of place card holders helps you to create an authentic, eye-catching wedding centrepiece motif for your special wedding situation. With silk or fresh flowers, vase fillers, ribbons, confetti and other accents to complement your theme, you can turn inexpensive items such as pressed glass and vases into elaborate table centerpieces. We have everything from rustic Tree Centerpieces for wedding styles that are earthy to an amazing selection of centerpiece bird cages that look wonderful under any antique or garden party themed table setting. Create a truly original table decoration by combining our versatile props and decorations - moss frames, lace shades, enchanting buttons and more - with the decorative containers and flower accents of your choice. 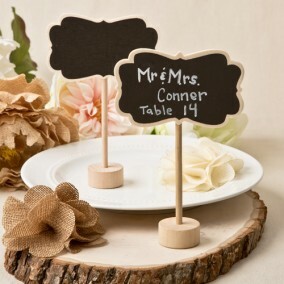 Add your own personal touch to your table decoration and you will remember it forever! 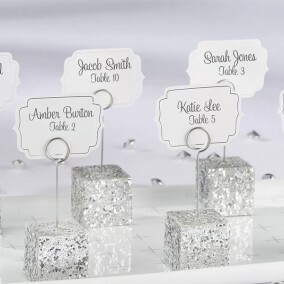 Silver glitter Cube place card holders will make your event unforgettable! 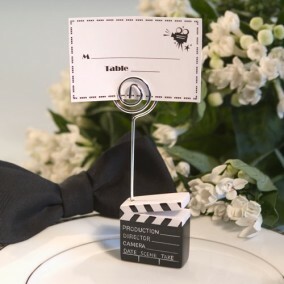 Your event is sure to be a blockbuster with these movie themed placecard holders on your tables. Nothing excites us more than bringing you a fresh and innovative idea for your next function, and we could not resist these adorable mini blackboards! 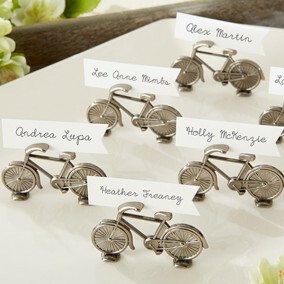 Lovely bicycle-shaped place card holder for weddings. Price per set of 6 pieces. Planning a going away or arriving home event? 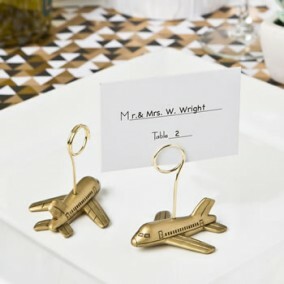 These delightful little airplanes will add a nostalgic vibe to your event tables. 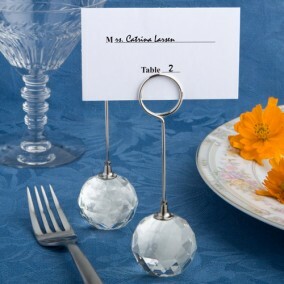 With these glamourous place card holders your guests can find their seats by consulting the crystal ball. 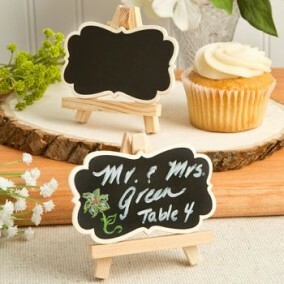 Add a fun school room ambiance to your event with these classic little chalk board placecard holders! 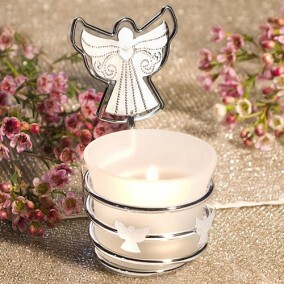 Share love and an angel's blessings with these guardian angel photo/place card holder candles as your favors. 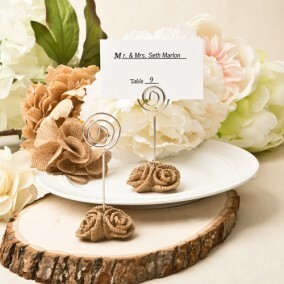 Add an age-old Victorian touch to your event tables with a glorious burlap rose placecard holder. Price per set of 4 pcs. 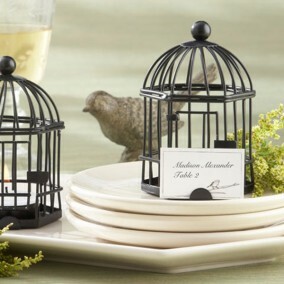 Romantic place card holder in the shape of a mini birdcage. Tealight in the center illuminates cage from within. Available in antique white and black. 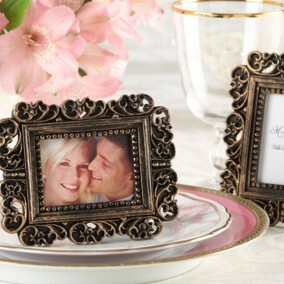 Elegant, photo frame / place card holder in antique gold. Can also be used as a photo holder. Stands horizontally or vertically. Price per piece. 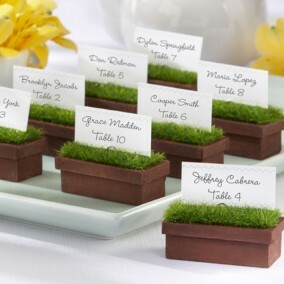 Adorable place card holder, especially designed as favor for weddings and baby showers. Price per set of 6 pcs. 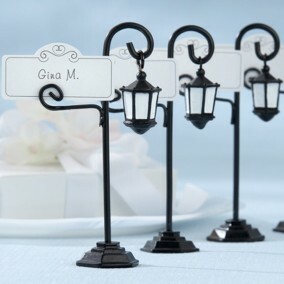 Charming street light place card holders with matching hand-crafted card. 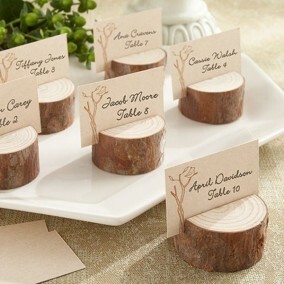 Charming real wood place card holders. Sold in sets of 4 pcs. 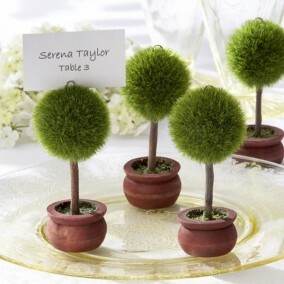 Place card holder Topiary Art in the form of sphere. A small artificial tree for your table decoration! 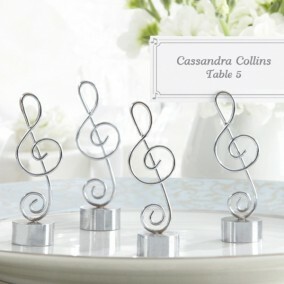 Place card holder in the design of a musical clef. 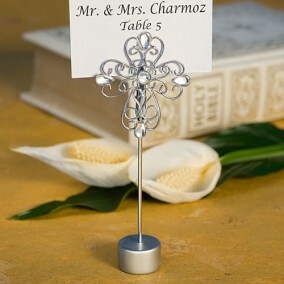 Classy, beautifully crafted and inexpensive. Price per set of 4 pieces! 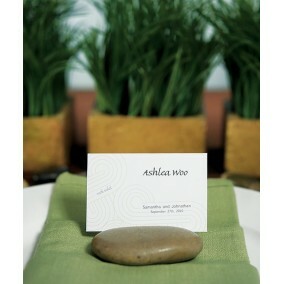 Polished stone place card holders into your table settings. Each rock has been etched on one side to hold a place card or other suitable stationary.